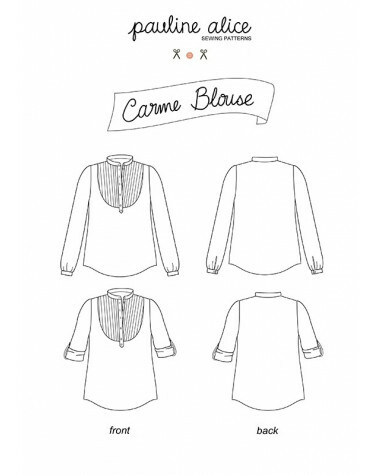 The Carme blouse is the perfect casual shirt to wear with your favourite pair of trousers or tucked into a skirt. 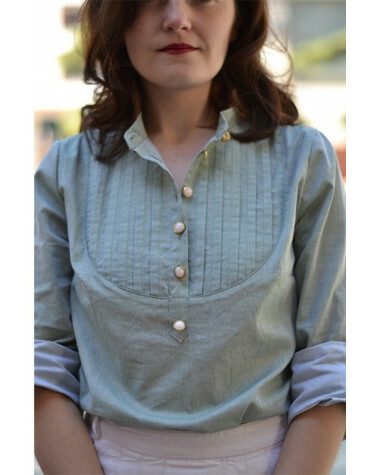 It features a small mao collar, a pin-tucked front yoke, a button placket and long sleeves gathered into cuffs. 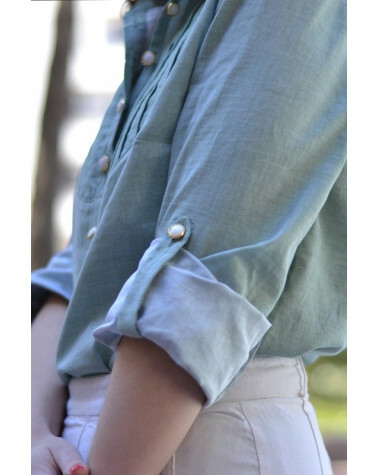 Sleeve tabs allow you to roll your sleeves up, for a versatile and easy-going look. 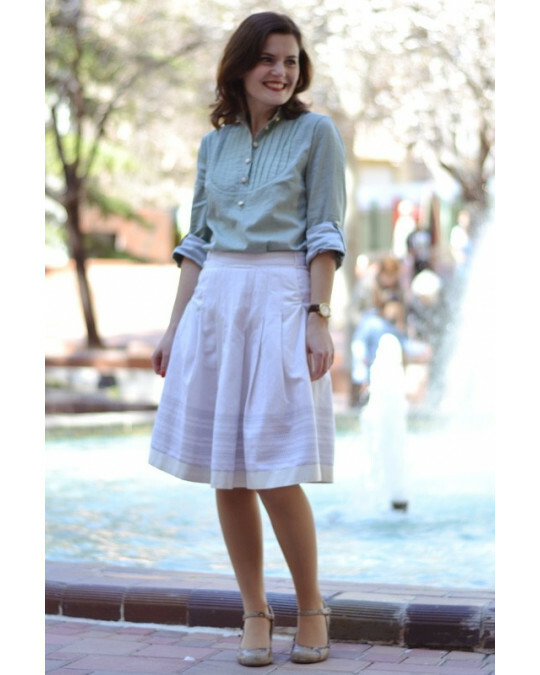 Find a step-by-step video Sew-Along on the blog.